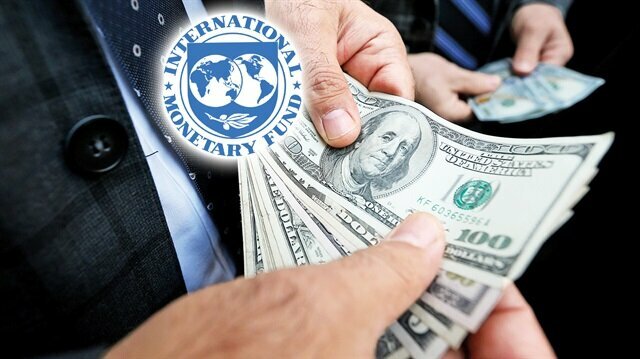 The International Money Fund (IMF), is trying to disrupt Turkish economic growth, claimed pro-government Turkish daily Yeni Şafak. IMF's most recent concluding statement on Turkey, published on February 16th, warned that the Turkish inflation rates are expected go to above-target without appropriate policy adjustments. Yeni Şafak claims that, through the statement, IMF was blackmailing the Turkish government to increase the interest rates. IMF in its statement said: "Although base effects are likely to see headline inflation fall during the early part of this year, in staff’s view, without further interest rate increases, inflation is likely to end the year once again in double digits." Calling the statement a "scandal," Yeni Şafak's breaking news claimed that IMF was ultimately siding with the "interest-lobby" in pressuring Turkey to raise the interest rates. "Disregarding Turkey's sustainable, and strong growth, acknowledged by many international financial organisations, IMF chose to promote the bankrupt policies of the interest lobbies," the newspaper claimed. Turkish president Recep Tayyip Erdoğan, for years, has been embracing his peculiar financial theory that challenges modern inflation-fighting methods. The Turkish president maintains that the key to containing price inflation is to lowering interest rates. It has been reported many times that Erdoğan was pressuring the independent Central Bank of Turkey to lower borrowing costs.